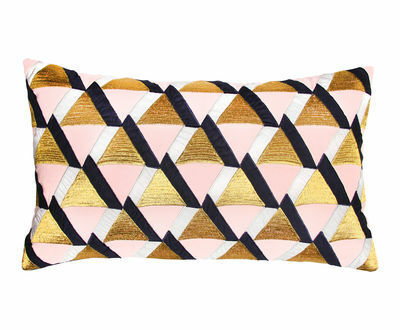 An ultra-graphic cushion decked with geometric patterns in golden and pastel shades! 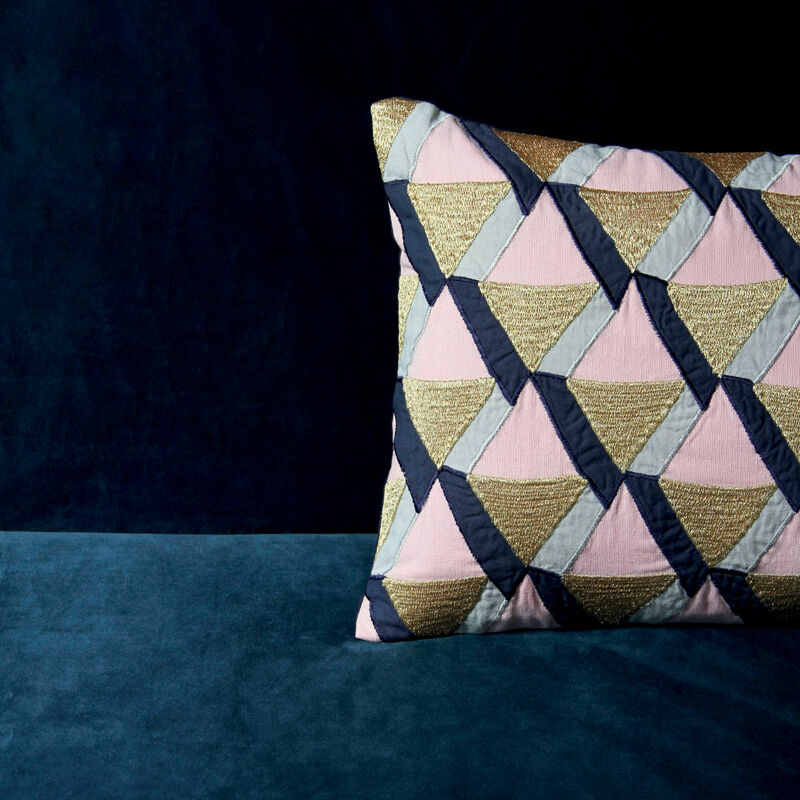 A multitude of Lurex-embroidered triangles on a 100% cotton fabric. 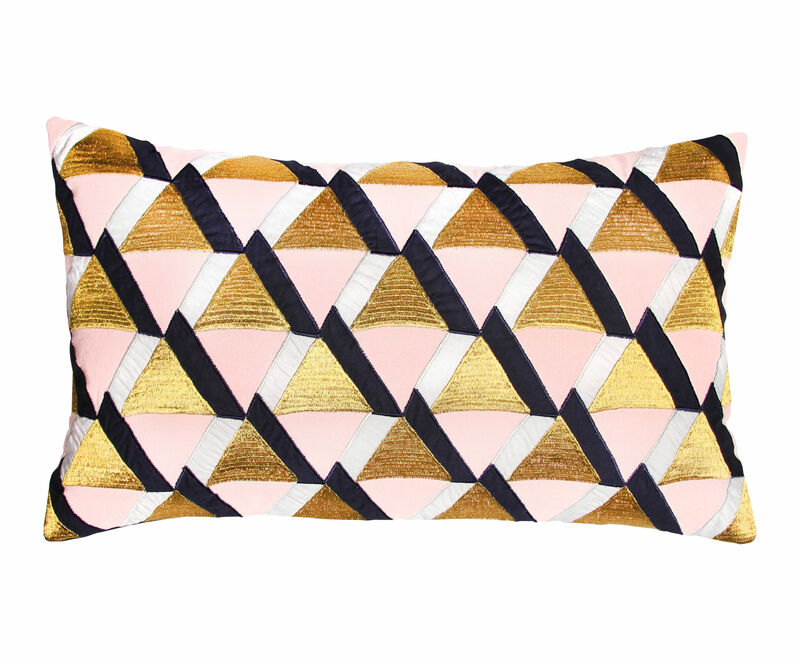 Chic yet casual, this cushion will give add a bright and luminous touch to your sofa. 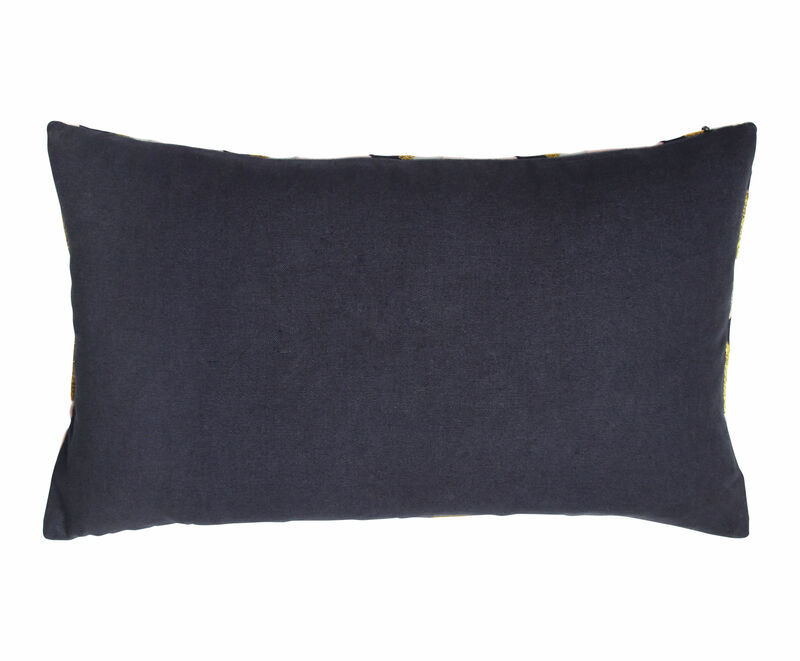 With its feather padding, it is also very comfortable.